Although it is statistically safer to fly than to drive, people become concerned that they will perish in an airplane crash. Sometimes, the flight needs to be cancelled due to severe weather conditions. Fortunately, these instances and others may be covered by flight insurance in a general trip insurance package. Before people embark on a trip, they will need to purchase their airline tickets in advance, and this expense can be non-refundable. If a family planned a vacation in a faraway destination but needs to cancel before they can leave, they will lose the entire amount paid for the airline tickets. This can add up to a significant amount of money. If people feel that it is at all possible that they will need to cancel their trips or postpone them, a travel insurance policy with flight insurance would benefit them. Sometimes, nothing prevents people from taking their vacations or going on business trips. However, an unfortunate incident can occur while they are traveling. Not everyone in this situation has a life insurance policy in place before they travel, but they can purchase flight insurance that will cover them while they are in the air. This type of coverage provides them with accidental death insurance in the unlikely event that they do not survive a plane crash. it’s becoming less and less likely that people are going to be involved in a plane crash, but if they are, they are more likely to survive now than they would have in the past. However, they may have significant injuries and may even be dismembered. Flight insurance in a trip insurance policy covers exactly this possibility and will offer them a sum of money if they lose a limb, for example, in a plane crash. Flight insurance also benefits those who either have no medical insurance coverage or are traveling outside of the country. 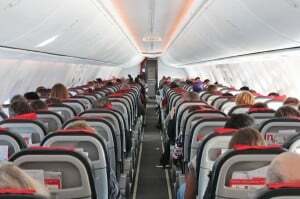 Those without medical insurance will need to consider the health insurance they can purchase in a travel insurance policy along with flight insurance in case they are injured in an airplane accident. Those with medical coverage may find that their health insurance policies do not cover them when they are outside of the country. If they are injured in an airplane accident, they will need the additional protection they can receive from flight insurance and travel medical insurance. When purchasing a travel insurance package, people can inform their insurers of how much money they would like their beneficiaries to receive in the event that they are involved in a plane crash. They will, most likely, be able to purchase a policy for a significant amount of money for a very low cost and travel with peace of mind.